1.2MP, 1080p, 3MP, and 5MP resolution models. include Wide Dynamic Range (WDR). bracket, USB cable, and the main camera unit. further blends into many environments. LEDs to provide up to 49 feet (15m) of night vision capability. uses. Options include 2.1, 2.8, 4, 6, 8, 12, and 16mm lenses. 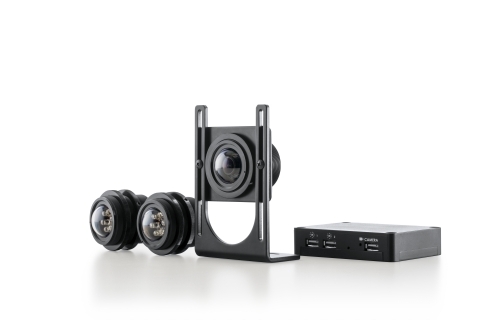 network software (VMS) or network video recorder (NVR) systems. call us at +1.818.937.0700, or email us at sales@arecontvision.com. drastic departure from traditional analog and network camera designs.